Tickets are on general sale for Blues' Sky Bet Championship fixture against the Rams at the St. Andrew's Trillion Trophy Stadium on Friday 19 April 2019. * Tickets can be purchased from 5pm on Tuesday 5 March through the eticketing website only. * Tickets will available to purchase from the Blues Superstore and over the phones from 9am on Wednesday 6 March. * Print at home is also available for this fixture online and over the phones for no charge. For a St. Andrews Stadium plan click here. Call: 0121 772 0101 Option 2. 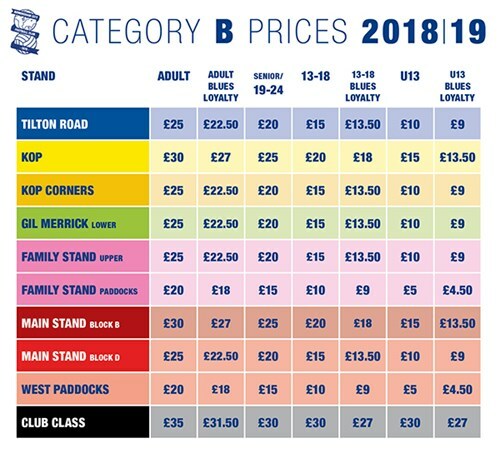 Visit: Blues Store, St. Andrew’s Trillion Trophy Stadium. Main Stand Ticket Office open on matchday from 1pm. - A 60p postage fee will be applied per transaction for the first class postage of tickets. - There will be a £2.00 collection fee will be applied per transaction for the collection of tickets. The collection fee for tickets purchased in advance has been introduced to speed up and improve the service to fans on a matchday. Fans are still able to print off their tickets at home free of charge.